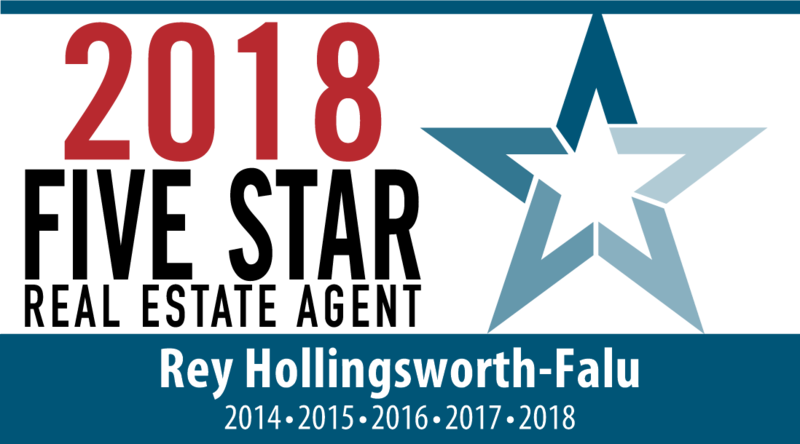 Westchester Magazine & Five Star Professional announce Rey Hollingsworth Falu, Real Estate Broker of Hollingsworth Real Estate Group, as a Westchester Five Star Real Estate Agent five years in a row. Hollingsworth joins Christian Ronaldo 5X Champion League titleholder, Rick Swenson 5X Iditarod champion and the New England Patriots with 5 Superbowl wins (yes, I took it there). Five Star Professional partners with Westchester Magazine every year to recognize a select area real estate agents who provide quality services to their clients. Rey Hollingsworth Falu joins less than 2% of real estate agents in the Westchester area to receive this award. “I have been blessed to earn money doing a job I love. I get to work for great people, helping them realize their dreams. I couldn’t ask for more than that. My goal is to help as many people as I can.” said Hollingsworth. The Five Star Real Estate Agent award program is the largest and most widely published real estate agent award program in North America. Award candidates are identified through evaluations completed by consumers. To receive the Five Star Real Estate Agent award, a real estate agent must satisfy five objective eligibility and evaluation criteria that are associated with real estate agents who provide quality services to their clients. The award process is conducted annually in each market. Recent homebuyers are asked to evaluate real estate agents with whom they have worked and evaluate them based upon ten criteria. Recent homebuyers may evaluate up to two real estate agents in order to measure the experience associated with the purchase and sale side of a move. Self-nominations are not accepted. Five Star Professional conducts in-depth, market-specific research in more than 45 markets across the United States and Canada to identify premium service professionals. For more information, visit http://www.fivestarprofessional.com.